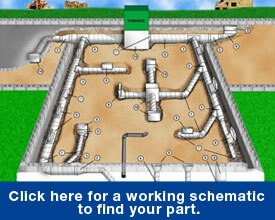 Whatever high or low pressure HVAC parts you need, Spiral can help you complete your goals. In addition to the ability to supply your production part needs from our massive inventory, we also pride ourselves on our rapid custom part turnaround. 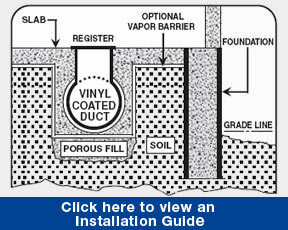 Click here for more information on the advantages of PVS Underground Duct. Spiral Manufacturing Co., Inc. is an industry leader manufacturing PVS Underground HVAC Ductwork; also known as PVS or PCD Polyvinyl Coated Steel Duct and Fittings. In addition to providing the industry with Sheetmetal Fittings, our Coated Duct is compatible with hundreds of chemicals for Exhaust and Make-Up Air Systems. Spiral continues to provide unique and reliable solutions to our customers. If you need PVS Elbows, Reducers, Taps or Tees we have hundreds of PVS Fittings to choose from.